A high resolution DAC, featuring a 24-bit/192 kHz sampling rate. Get the most out of your signal path with a high resolution, 24-bit, 192 kHz DAC – which helps marry analog to digital in a stereo receiver providing you instant access between devices. 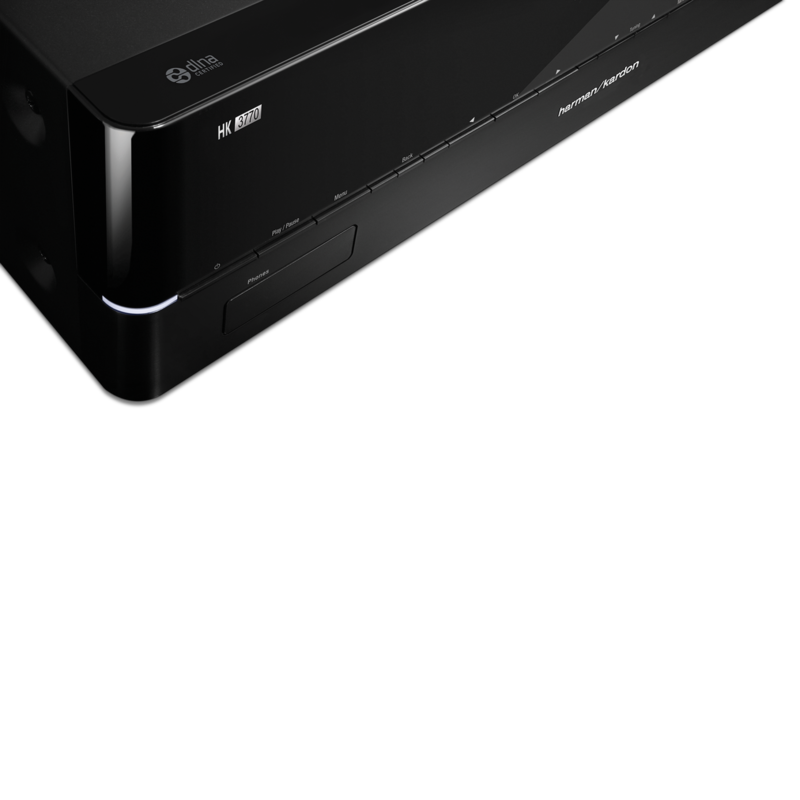 Cutting-edge connectivity options, including Bluetooth® for high quality audio streaming from a broad range of devices. The HK 3770 streams audio from virtually any portable device. Its integrated Bluetooth® technology enables connectivity to almost any tablet, smartphone or laptop. The Harman Kardon Remote app – available from the iTunes App Store for iOS® devices and the Google™ Play service for compatible Android products – extends the functionality of your system by connecting with your compatible smartphone or tablet to drive the HK 3770 – without needing to pick up the remote. It’s also the perfect tool to organize and play back your music from your mobile device and home network. 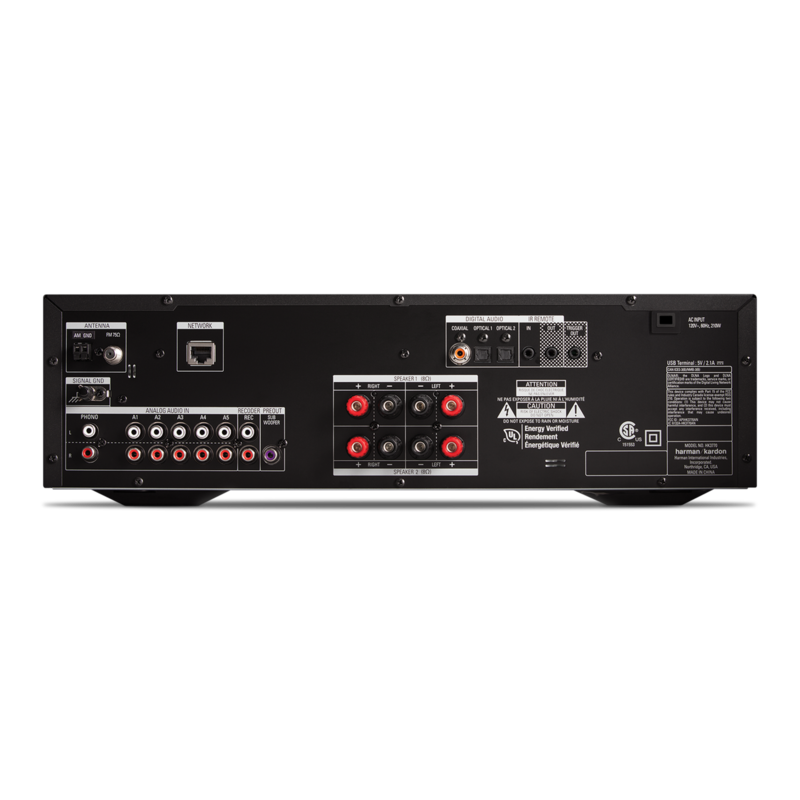 High-performance 240 watt stereo receiver with analog & digital capacity and networked connectivity. Harman Kardon’s reputation for excellence in sound quality and distortion-free power has moved forward to combine classic analog sound with modern digital connectivity. 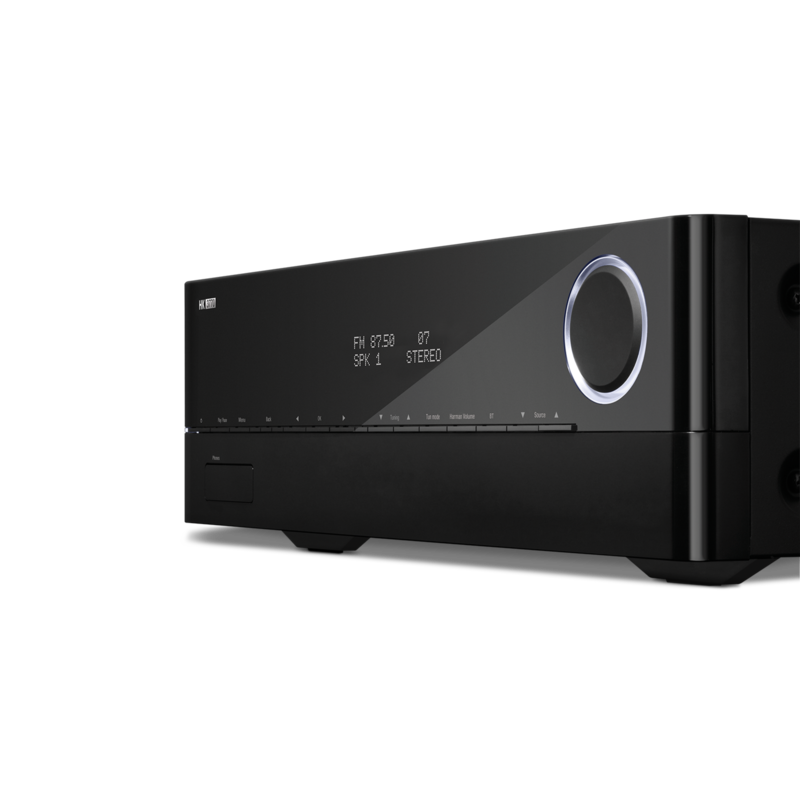 Discover 240 watts of power in a stereo receiver dedicated to complete connectivity for all your devices. 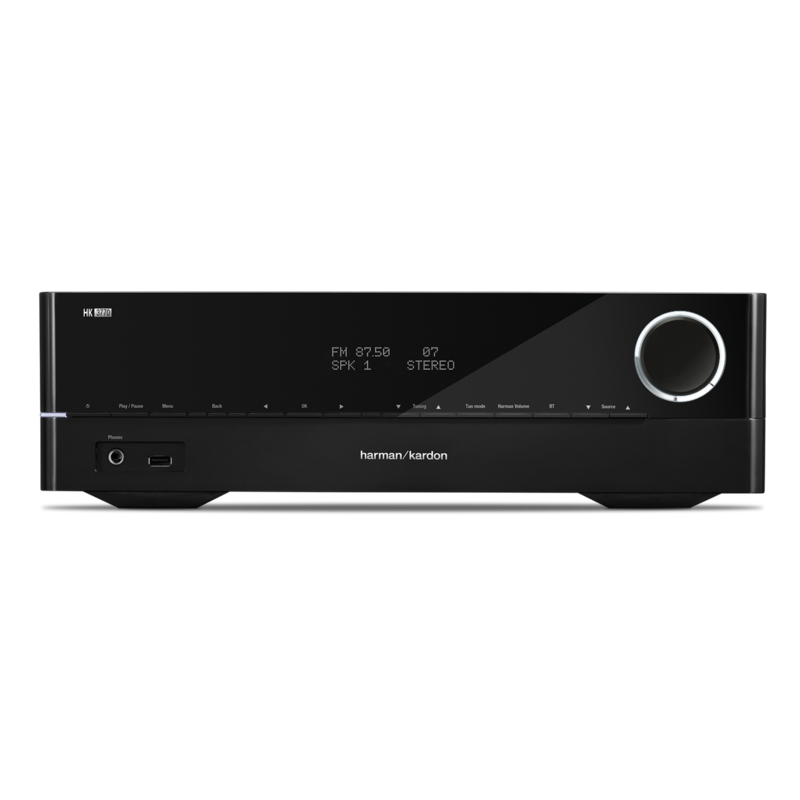 The high-performance Harman Kardon HK 3770 stereo receiver delivers everything you need to drive any home audio system. With analog and digital connectivity, it features high power and offers a built-in, 192 kHz/24 bit DAC. Connect to your home network via Ethernet, playing all your local content over DLNA 1.5 or connect a storage device or any Apple iOS device via USB. Bluetooth® is included for high quality audio streaming from a broad range of devices. And, with built-in AM/FM radio and phono inputs, the HK 3770 eloquently bridges classic and modern audio – making it a truly powerful centerpiece for your home audio system. The HK 3770 also features HARMAN GreenEdge™ technology combines an environmentally friendly design with dramatic energy savings; all while maintaining HARMAN’s premium performance.